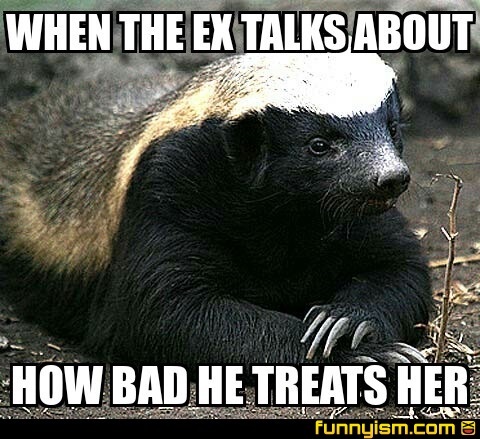 Honey badger don't give a shjt...? The real question on my mind would be: why am I talking to my ex? Wanda Sykes does this look Sooo much better.